Gov. Imee Marcos said that with today’s technology, the local government has all the capabilities to fight inflation- rather than to depend on the national strategies. Her province is coming up with solutions on how to solve the surging prices of basic commodities. Instead of using President Rodrigo Du30’s frustration on corruption and the war on drugs as excuses, it’s time to come up with specific methods to produce essential crops. She is also thankful of the President’s trust to brother, Bongbong but the governor believes that the big change can happen now under Du30 because of his strong political will. As per the alleged dictatorship of the Marcoses’ patriarch, Gov. Marcos can only cite his achievements and legacy. He can’t be a dictator for those. 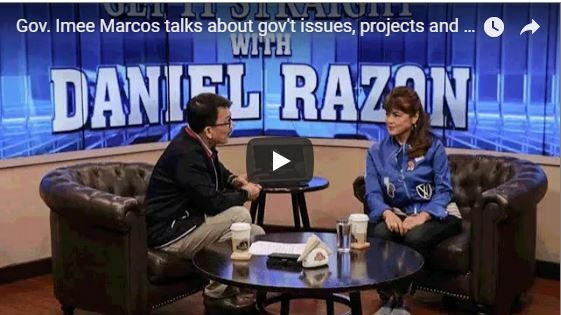 [VIDEO]: Watch the full interview of Ilocos Norte Governor Imee Marcos as she expresses her opinion on different political issues in the country and talks about various projects that she is implementing for the province of Ilocos Norte. The Marcoses have always dominated the politics in Ilocos Norte. Consequently, the 100th birthday of Ferdinand Marcos is celebrated as a public holiday in this province. Imee, Imelda and Bongbong Marcos are among the attendees of the commemoration. The people in Ilocos Norte back from Ferdinand Marcos’ time really looks up to the Marcoses. They believe that it is with the Marcoses that their province has developed. From a quiet rural province, malls are now being built all over. In contrast to the despise of the victims of Martial Law towards Marcos, the Ilocanos shows great love to them. Consequently, the Marcoses are extending their influence to the rest of the Philippines. The Marcos era is infamous for Black Propaganda. There are issues about the debt of the country, if the election in 1986 was rigged, and if Marcos was a war hero. His detractors dispute the testimonials of the people involved during martial law as falsehoods but still, they remain on the internet. This is clear proof that the majority of the people now know the truth. In today’s age, we should not underestimate the influence of “alternative facts”. However, the future is what matters the most to the Filipinos. The supporters of Du30 trust him and his intention to pass the presidency to Bongbong Marcos. Consequently, Gov. Imee Marcos reacts to the statements about her father’s dictatorship by looking at his legacy. The “Build Build Build” project is being continued now by the current administration that follows the late Marcos’ blueprint. That is enough to tell that world that he was fine if not a great President indeed contrary to the demonization efforts of his enemies. Why Do Commercial Media Report on Ferdinand Marcos’ Legacy Fakers, NOT on its Realities? Some commercial media publications are quick enough to report on December 8 that Edilberto del Carmen uses the alias Angel Ferdinand Marcos to pretend as the son of the late Ferdinand Marcos. He was arrested following a warrant by Judge Ana Marie Joson-Viterbo of the Regional Trial Court Branch 24, according to Chief Insp. Rommel Labalan, CIDG Pampanga chief. On the other hand, there’s hardly any mention of Bongbong Marcos’ efforts with former Tacloban Mayor Alfred Romualdez during the Marawi City visit last December 4, 2017. Are Marcos fakers more newsworthy for these press channels than the real namesake who continued his public service legacy? 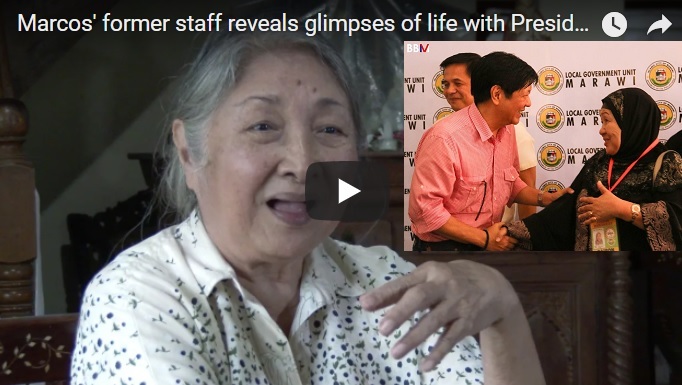 [VIDEO]: Ferdinand Marcos’ former staff reveals glimpses of life with the former President and first lady. People who have the chance to be up close and personal with the Marcoses can only praise them. There’s no such thing as perfect life. However, the admirable qualities of the former first couple are just so distinct that they are impossible to forget. As per the video testimony, ex-First Lady Imelda Marcos is like a live wire. She loves to work until the wee hours and entertain people during the day. The late President Marcos also has no tolerance for stupidity. These descriptions alone are quite in contrast with what most mainstream media try to portray as far as the Marcoses are concerned. Bongbong Marcos disowns Del Carmen. He calls him “bogus” in a previous interview. The real namesake also said that they have nothing to do with the UPLB scam that uses his father’s legacy to gather thousands of people hoping to get a piece of the alleged gold inheritance. It is just suspicious that both of these fakers got the headlines of the traditional media. People can only wonder about the quality of journalism in the country. Fake news on the Marcoses seems like a priority in newsprint spaces and even on air time. Substantial news on Bongbong Marcos or his sister doing great things for the country is often ignored. Good thing that social media practitioners supplement the lack of good judgment by mainstream journalists.